Despite all of the gloom and doom about Japan’s aging population and China’s trade war with the US, Asia is still home to many of the world’s most promising emerging economies. You just have to know where to look. Multinational companies have now turned their attention to Southeast Asia it thanks to the region’s booming economy. In fact, several Southeast Asian countries haven’t experienced a recession in two decades. Although the whole region is experiencing an economic boom, three economies are especially impressive: Vietnam, the Philippines, and Cambodia. These countries have overcome the odds to become some of the best emerging economies in the region – and in the world. A chart showing Vietnam’s annual GDP growth compared to the world average since 1989. It’s proven almost completely immune to the effects of global economic recession. Did you know that Vietnam hasn’t experienced an economic recession in over thirty years? This impressive statistic testifies to the country’s explosive growth over the past few decades. On average, the Vietnamese economy has been growing consistently at a rate of over 6% each year. One of the main reasons for this is Vietnam’s strong demographic trends. While countries like Thailand are bracing themselves for population declines, Vietnam’s population is expected to grow by nearly 20 million by 2040. This growing population has supported Vietnam’s robust manufacturing sector. Vietnam is quickly becoming one of world’s top exporters, and companies like Nike and Samsung built large manufacturing centers here to take advantage of low labor costs and lax regulations. Vietnam’s manufacturing sector should expand throughout the coming years. The government continues finding methods to make it easier for both foreign and local companies to thrive. As a result, Vietnam is becoming a more attractive industrial hub than its neighbor, China. The trade war between the US and China has also increased multinational companies’ interest in Vietnam as a manufacturing hub. While these two economic giants are shooting themselves in the foot, the little guy – Vietnam – is coming out on top. In addition to this population growth and strong manufacturing sector, Vietnam also has two established equity markets – the Ho Chi Minh Stock Exchange and the Hanoi Stock Exchange – with over 800 companies listed between them. Although the future is looking bright for Vietnam in many ways, the country’s property laws are still holding it back from its full potential. 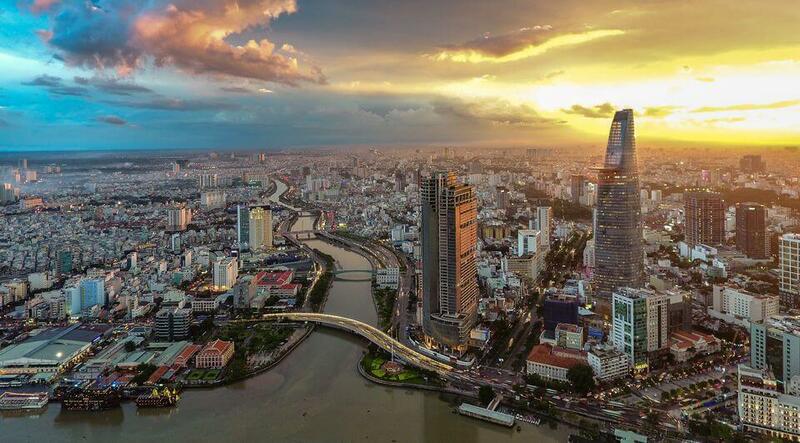 There are plenty of excellent investment properties in places like Hanoi and Ho Chi Minh, but the Vietnam has yet to do away with its antiquated property laws, which are a holdover from the communist era. Because all land plots are technically owned by the state, freehold property ownership isn’t possible for both locals and foreigners. Instead, the government uses a long-term leasing system that allows you to lease property for 70 years at a time. Despite this potential headache, Vietnamese property laws are slowly liberalizing. You can now buy property with a tourist visa, for instance, whereas you couldn’t only a few years ago. Hopefully, this trend will continue, and we’ll see the end of the leasing system soon. Despite bad publicity regarding its drug war, the Philippines remains among the top fastest-growing economies in Asia. In fact, the Philippines hasn’t experienced a year of negative growth since the late 1990s. Like Vietnam, the Philippines has demographics on its side with its population expected to grow by at least 35 million people before 2040. This population growth is expected to keep pushing property values upwards, making it an excellent time to invest in the Philippines. However, the Filipino population is not only large and continuously growing – it’s also comprised of well-educated, English-speaking people. This massive skilled workforce in a low cost country has caught the attention of major tech companies, which have taken interest in the Philippines as an alternative to India. Google and Microsoft have already made their way to the islands, and other companies are following suit. This multinational migration has fostered the growing Filipino middle class. As always, a rising middle class is an excellent sign of continued, sustainable growth. With that being said, the Philippines has a few areas for improvement. Its heavy bureaucracy rivals that of Latin America, and foreign investment possibilities are limited. Although buying a condo or stocks in the Philippines isn’t terribly difficult, foreigners are still unable to own land. Luckily, these things are fixable, and the Filipino government will hopefully take steps to make it easier for foreigners to invest in the country. However, there is one problem with investing in the Philippines that the government can’t do much to control – natural disasters. The Philippines is, unfortunately, one of the most disaster-prone countries in the whole world. Its location makes it prone to typhoons. They can do quite a lot of damage considering that the country is comprised of a series of islands. It’s also prone to seismic activity thanks to its proximity to fault lines between the Eurasian and Philippine tectonic plates. While natural disasters remain a risk in the Philippines, much of the damage can be mitigated if you have proper insurance. Disaster response will hopefully improve as the nation continues to expand economically. 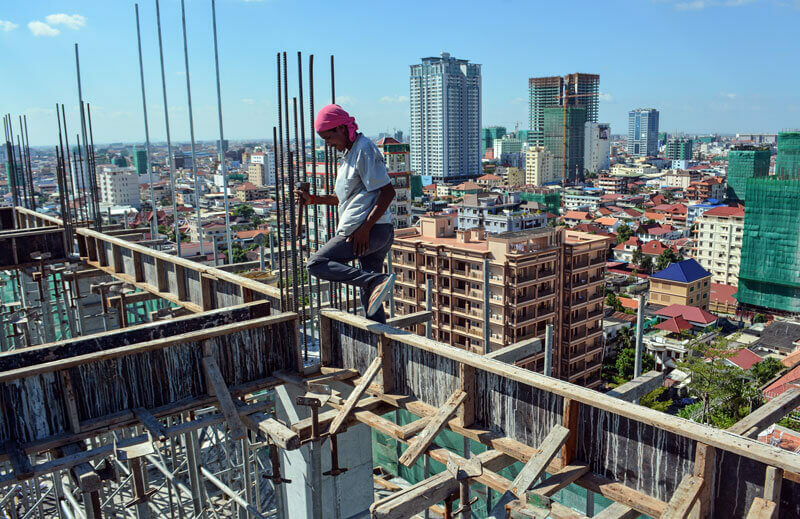 Cambodia’s urban population is expected to nearly triple within the next two decades. Cambodia is Southeast Asia’s comeback kid. After the Khmer Rouge decimated the country’s economy and population in a horrific genocide, Cambodia has risen from the ashes to become one of Southeast Asia’s most promising emerging economies. Like the other countries on this list, Cambodia’s demographics are incredibly promising. Although its population is comparatively small at just 2.5 million, that’s expected to double by 2040. The country is also urbanizing at a remarkable pace, which bodes well for its future economic prospects. Cambodia also hasn’t had a single recession in over 25 years. Unlike some of its neighbors, the Asian Financial Crisis and Global Recession had little effect on Cambodia’s consistent growth. It stabilized at an average of about 7% annually for the past 20 years. Despite how much steam the Cambodian economy is gaining, it remains a rather undiscovered market. In fact, property in prime locations in its capital city, Phnom Penh, can go for less than $1,000 per square meter. That means that now is the perfect time to buy Cambodian property. Not only can you earn huge rental yields, but you’ll also see massive appreciation as Cambodia’s cities grow and property prices rise. It’s fairly easy to purchase Cambodia property since there are few limits on foreign ownership. Furthermore, establishing residency here is easy and inexpensive. The only drawback to Cambodia’s rapidly-developing economy is that there is a large emphasis on development. Infrastructure is still recovering from the Khmer Rouge times. Meanwhile, the Cambodian stock exchange is rather small with just five listed firms. Luckily, over the long-term, Cambodia’s emerging economy can only rise from here.